Make sure your construction project is built on solid ground. FIRST MATERIALS & TECHNOLOGY, INC. supplies soil stabilizers and remediation products to the construction and environmental industries. TRU-BLN® adds significant strength to soil. 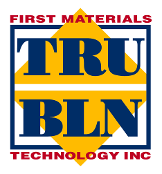 Unlike the lime slurry process, there are no additional mixing requirements when using TRU-BLN. The material is applied to the soil at the same rate as lime (or, in some cases, at a lesser rate). A same-day mix is used for blending TRU-BLN with soil. There is no need for a second-day mix, nor a 48-hour waiting period, as is often required when lime slurry and fly ash are applied to soil separately. This results in significant savings due to the efficiency of the application process. TRU-BLN has been used successfully for remediation of pit clean-up and closures. Laboratory tests may be required for specific projects. Download the TRU-BLN Safety Data Sheet to learn more. References for many successful projects. TRU-CHEM® is an enhanced fly ash/LKD blended material and an economical alternative to TRU-BLN. When a quick lime/fly ash blend is not specified, TRU-CHEM may be used to help solidify soil and increase the effectiveness and efficiency of fly ash. Download the FLYASH Safety Data Sheet and the TRU-CHEM Safety Data Sheet for more information. COLD-STER® is produced for use in medical waste processing machines-specifically the MMT3000, a patented machine invented by Charles R. Miller and used in many hospitals around the world. COLD-STER offers a cost-effective alternative for the treatment of regulated medical waste for hospitals and other medical facilities. At a time when government regulators, regulated medical waste generators, and the general public are seeking better ways of dispensing of medical waste, the MMT3000 with COLD-STER is a fully integrated system that offers an innovative answer to medical waste problems. COLD-STER is sold in 150 lb. bags and also in one-ton "Super Sack" bulk bags. Various transportation options are utilized, depending on the size of your project and location. Preferred deliveries are made in the early morning to ensure that trucking and delivery operations are not hindered. Because stabilization materials contain fine particles, proprietary techniques are used by FIRST MATERIALS & TECHNOLOGY, INC. to minimize dust that may be generated during material application. 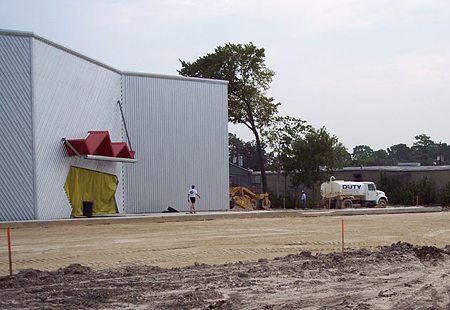 Careful consideration is taken to control dust disbursement to surrounding businesses, homes, and the environment. Truck-mounted spreaders with shrouds are used when the material is applied to the surface of your site. For effective distribution at particularly dust-sensitive locations, an alternative dust reduction technique, "blowing under plastic," is used. This procedure effectively reduces dust as it distributes the material from the truck.